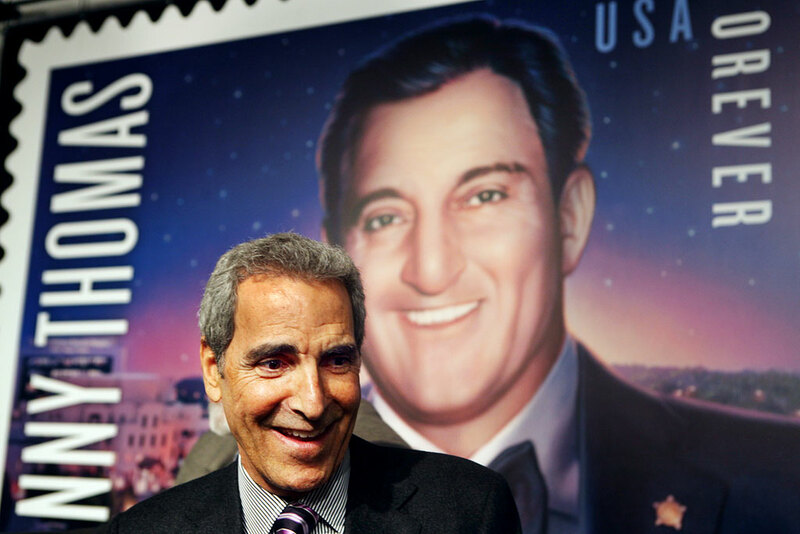 During hospital’s 50th year, Danny Thomas honored by USPS with stamp Tony Thomas, son of entertainer and St. Jude Children’s Research Hospital founder Danny Thomas, greets St. Jude employees, patients and hospital guests during unveiling of a commemorative Forever Stamp of his father by the United States Postal Service at the hospital on Thursday. The stamp’s arrival is synced with the 50th anniversary of St. Jude and Danny Thomas’ 100th birthday. Of 14,000 stamps brought to St. Jude for employees to purchase, all were sold in hours. Currently, 50 million stamps have been printed.